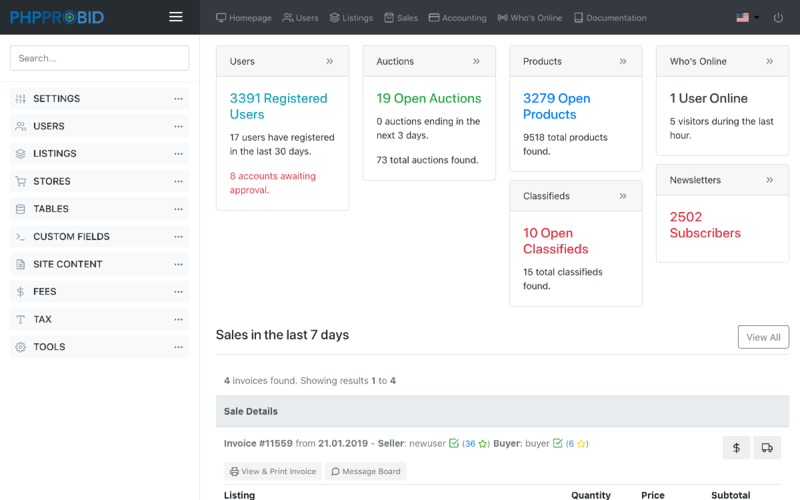 Online auctions: all the right tools - proxy bidding, auction sniping, buy out, make offer – to engage and keep clients. E-commerce websites: user-friendly inventory management features, effective shopping cart with a quick one page checkout process. 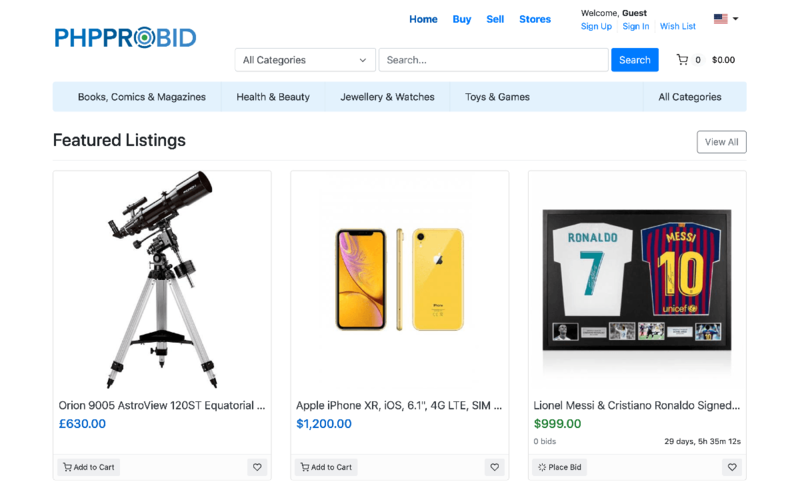 Start and manage an e-commerce website with powerful bidding features and an efficient shopping cart. 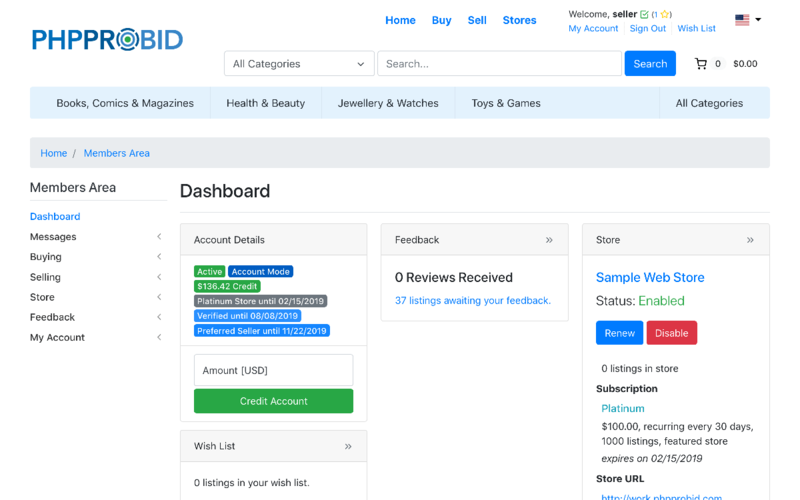 We're bringing better auction features: live bidding, buy out, make offer, or auction sniping. 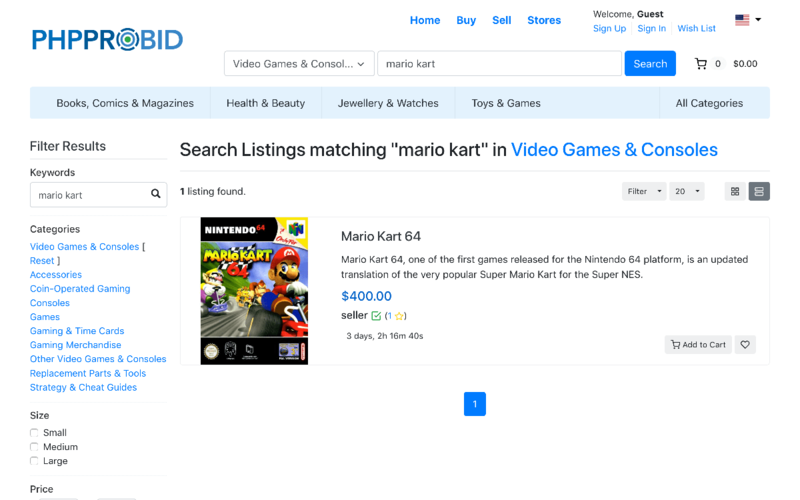 And also taking care of auction participants: bid via proxy, instant bidding updates and bid retraction. Time saving feature that displays updated listing information without page refresh. Automatic bidding, with preset increments. Ensures clients will always pay the lowest possible price. When placing bids in the closing moments, the auction automatically extends with a preset time. Fast and easy to use shopping cart enabling your customers to complete a purchase in a matter of seconds. Control how items are held in an uncompleted shopping cart giving you full control over your stock levels. Optimized stock management for variations - eg. colors, sizes - of the same product. Quick postage selection and streamlined checkout. Automatic transfer to the selected payment gateway page. Leave behind product-by-product listing in favor of uploading a single CSV file with all your inventory. Complete mobile user experience, designed for business and shopping on the go. Extend business reach beyond English. Easily translate entire site content with a gettext editor. Efficient means for creating and managing content. A reliable aide for putting into action your brand strategy. The strategic backroom. With a redesigned layout and packed with new features, it's a powerful daily management assistant.